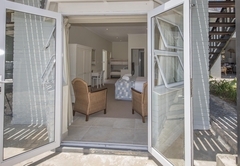 Tshayile Holiday House is a property providing self catering in Knysna for up to 10 guests visiting the Garden Route region. 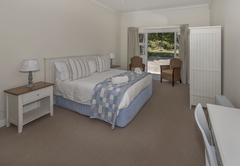 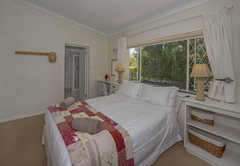 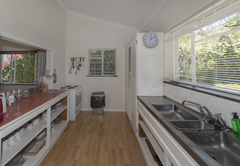 Tshayile House is a lovely three bedroom self catering house found in Leisure Isle in Knysna. 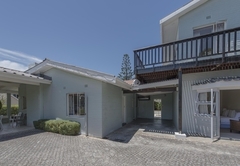 The house features a large outdoor area and is one road away from Knysna Lagoon, popular for swimming and canoeing, making this an ideal place for family holidays. 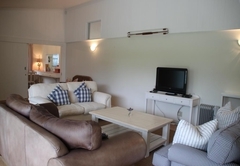 Only a short distance away you will find tennis courts, a coffee shop, art gallery, restaurant and more. 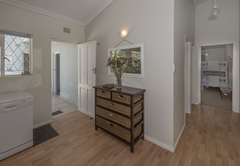 Tshayile House sleeps ten guests in three bedrooms. 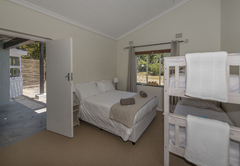 The main bedroom has a double bed, the second bedroom has two bunk beds and the third bedroom has a double bed and a bunk bed. 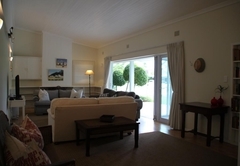 The open plan living area is comfortable and consists of a large lounge area with plenty of seating and a TV with DStv. 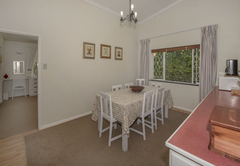 There is a dining area where you can enjoy your meals and a fully equipped kitchen containing everything you may need during your stay including a fridge / freezer, oven with stove, microwave, kettle, crockery, cutlery and cookware. 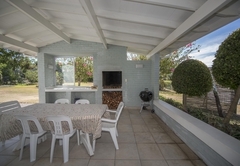 Outside there is a lovely veranda with an outdoor dining table and a built in braai area under cover, perfect for entertaining. 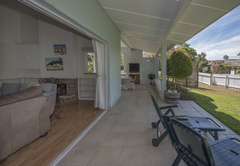 The garden is picturesque and it is a pleasure sitting outside looking out to the garden while enjoying your morning coffee or your evening meal. 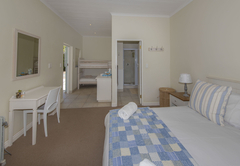 Response timeTshayile Holiday House typically responds to requests in 5-10 minutes.